It is our desire to be the most loving people possible and be true disciples of Jesus. We desire to be fully equipped for every good work that God calls us to do. We desire to truly understand the entire message of the Bible especially the messages that are important for today. We desire to worship God according to the Spirit and truth of God. 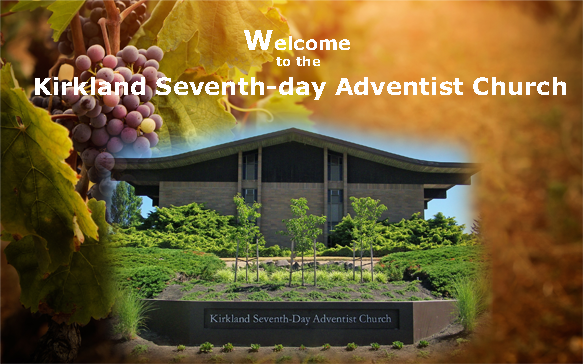 The mission of the Kirkland Seventh-day Adventist Church is to lovingly invite everyone in our area to clearly understand, accept, and experience with us the truly wonderful good news of Jesus Christ in order to improve our lives today and be ready for the soon return of Jesus, the only real hope for this world. The purpose of the ministry of the Kirkland church is to build people up in the faith of Jesus and help them experience the blessings of the Ten Commandments of God. We prepare people to be: devoted to Jesus, useful in His hands in order to help meet the needs of others, and ready for the return of Jesus. We will accomplish this by having the most robust disciple-making educational system possible in a local church of our size.